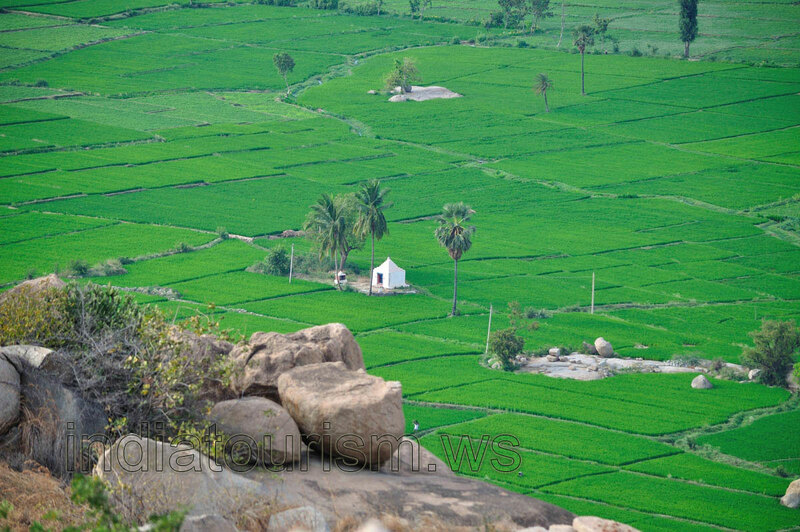 Sometimes, these green paddy fields contain small pieces of stony landscape. These areas look like a small islands. A pair of palm trees grow on one of them. You can find a tiny snow-white temple between these coconut palms.